Mark Kozelek aka Sun Kil Moon will perform on the opening night of Le Guess Who? 2017. Apparently, one of Kozelek's dreams involves touring with the late, great Elliott Smith, which he talks about in his newest song The Black Butterfly'. The track is from his forthcoming collaborative album with Jim White (Dirty Three, Nick Cave) and Ben Boye. Brooklyn Vegan have premiered the song here. "Kozelek delivers spoken word over White and Boye’s backing. It plays like a diary entry, detailing both the recording process and a dream Mark had about going on tour with Elliott Smith." 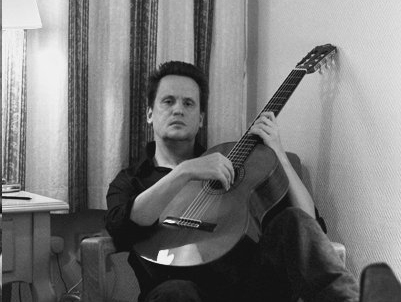 Sun Kil Moon performs on Thursday, 9 November, together with a.o. Grouper & Paul Clipson, Thurston Moore & Han Bennink, Liars, Le Mystère des Voix Bulgares, Jerusalem In My Heart, The Soft Moon, and many more.